In the summer of 2012 Price Driving School became one of the FIRST private driving schools in the State of South Carolina to be certified in the SCDMV 3rd Party Testing program. This enables Price Driving School to not only instruct but we can also administer to our students the SCDMV Certified Road Testing. After successful completion our students simply go to the local SCDMV office with a sealed envelope and required documents to get their South Carolina Drivers License, avoiding the need to wait on SCDMV Schedules and conditions to perform their Drivers License Road Test. Thanks for your interest in Price Driving School and feel free to contact us and ask any questions you may have. Price Driving School was stared by Rev C E "Gene" Price JR in the mid 1970's. Along with being a Baptist Minister he was also a Guindance Counselor at Pendleton High School and became certified in Drivers Education at Erskine College in 1971 under Mr. Harry Stilley. Rev Price then became a Drivers Education instructor for Anderson School District 5 until his retirement in 1994. He started the private driving school in 1972 teaching adult drivers and, after his retirement, he continued instructing teenagers. 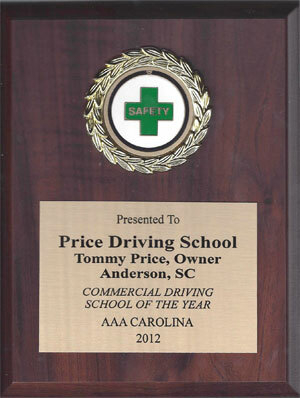 Price Driving School is one of, if not THE oldest Private Driving Schools in the State of South Carolina. As Dad got older he did not enjoy the business part of the driving school as he loved teaching and interacting with teenage students. In 1999 he approached me (Tommy Price) to continue the school while he spent more time behind the wheel (BTW) and in the classroom portion of the school. 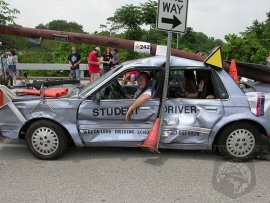 At that time I became the owner of Price Driving School. I also Own and Operate Price Bookkeeping and Tax Service so it worked out great with my scheduling and I found out very quickly how enjoyable teaching teenagers to drive safely could be, but also how much responsibility it put on my shoulders. One thing MOST everyone is going to do in life is drive a motor vehicle. As we have learned, all it takes is one quick mistake or bad judgement and your life is changed for ever or even worse GONE. My Dad taught me the importance of being a safe and aware driver at an early age. I took safe driving skills for granted until I became involved in Price Driving School. We pride ourselves in giving ALL STUDENTS one-on-one instruction in both Behind the Wheel driving as well as in the classroom that informs our students all aspects of safe driving. I thoroughly enjoy the interaction with young drivers and, after having two of my children become licensed drivers, completely understand how difficult it can be to instruct driving to youngsters. Today we have a staff of three South Carolina Department of Motor Vehicles Certified Driving instructors. Along with myself, Coach Tom Mulz has been teaching driving since 2002 and Gary Long since 2011.